It's a cool color, Sky Burst Metallic Elite Stratocaster with a Kaleido stainless steel etched guard. Check out Rickey's Gear Depot and our own Pro-Steel Pickguards shop , in the Reverb musician's marketplace, a mega-sized multiverse full of er, gear. Kaleido SSS Stratocaster stainless steel pickguard. 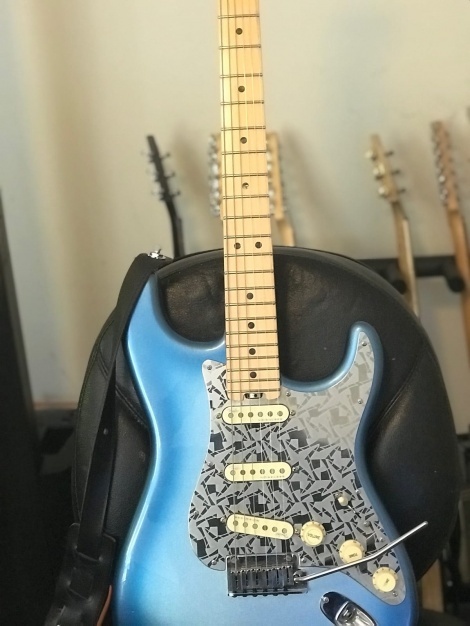 Kaleido HSS Stratocaster etched steel guard.